From the HTC Dream to 2018: Android turns 10 today! If the youngest of our readers were born with a smartphone in their hands, the others have been able to see the evolution of Android and technologies over the years and it must be admitted: we've come a long way. Google's green robot has managed to reach the top and become the top mobile OS in the world today, so it deserves to be wished a happy birthday! The average user may not be very interested in the evolution of technology, but enthusiasts like us who have kept an eye on the progress of our favorite OS can't help but think about everything Android has been through to get to where it is today. There was a time when we wanted to make smartphones smart but we didn't really know how to do it, phones with a few "smart" features came on the market but they lacked a certain something. When Apple introduced its first iPhone and operating system in 2007, competing companies realized that action was needed, and quickly. 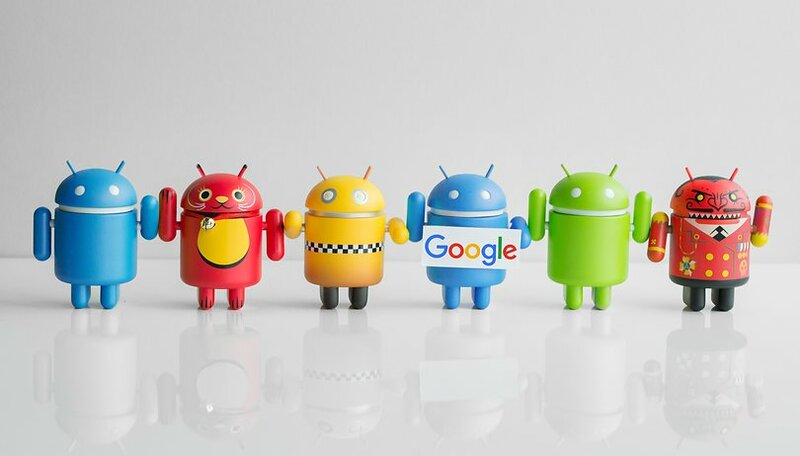 Google launched the idea of a common operating system and used a company it had bought in 2005: Android. The idea is to offer all brands the same opportunities (and unofficially it was also to extend Google's influence widely in order to optimize revenues). The first prototype of Android was in 2007. Today, it seems to be a real dinosaur with a physical keyboard (sorry, BlackBerry) and a small screen. It was compact, you have to admit. This smartphone has never been released, but one of the members of the Android-based manufacturers' organization, the "Open Handset Alliance", has decided to take matters into their own hands: HTC. The Taiwanese giant which is in such a bad position today was at the time the most courageous pioneer. Thus, on 23 September 2008, the HTC Dream appeared. It was the first of a long lineage. The other manufacturers did not stand idly by, everyone went to work. Over the years the technologies on smartphones have evolved, in parallel Android has also continued to evolve, even giving Apple ideas for the development of future versions of iOS. Today, Android is (by far) the most widely used operating system, but not everything is rosy: the fragmentation problem still plagues the popular OS. Every year Google makes a new version of Android available to users, more advanced than the previous one. Unfortunately, manufacturers do not always play the game and users suffer the consequences: in September 2018, less than 15% of users use the latest version of Google's operating system. Nearly 31% still use last year's. In other words, more than one user out of two uses an Android version that is more than 2 years old. Google may do its best to improve the situation, but it will take time for things to change. In short, our Android has developed into a strong, healthy and popular OS but the droid still has a long way to go and we look forward to seeing the evolution continue. How would you like to see Android evolve in the coming years?